For most dentists in McMurray, tooth extraction is usually the final attempt to keep someone’s mouth and teeth healthy. As an adult or even a child, there are a number of reasons why you may have to have a tooth extracted. 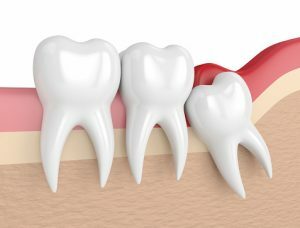 Often, when someone has a crowded mouth full of teeth that have nowhere to move because of a narrow jaw or other reasons, Severns Dentistry may determine that the best course of action is to pull teeth. Often, more space is needed because braces and other orthodontic appliances require some room to move the teeth into the proper position, and extracting teeth is the best way to do that. There are also times when teeth are so crowded – especially when some adult teeth have already descended when kids are around 7 or 8 – that the remaining adult teeth cannot push through the gum. People sometimes develop periodontal disease due to poor oral care. If this happens, and they don’t see a dentist to get regular cleanings, the diseased gum will start to lift away from the tooth, loosening it, with an extraction as the only way to prevent further oral care issues. When the tooth’s pulp becomes infected, the tooth may be saved with a root canal. However, there are times when a root canal does clean out the entire infection, and the tooth may have to then be pulled. After a car accident or a sports-related injury, it’s possible that teeth may be cracked. If a tooth is cracked far below the gum line, an extraction will be performed. Tooth extractions performed by McMurray dentists Severn Dentistry use a local anesthetic that prevents pain. Following Dr. Severns’ instructions after the extraction will ensure that healing proceeds in a timely manner. Once the area is completely healed, most people choose to get a partial bridge or an implant so that the appearance and function of the teeth are back to normal. Call Severns Dentistry and Orthodontics to learn more about painless tooth extraction.